Florida native Sarah Chapman joined Sarasota’s Sailor Circus at age twelve. She married Danny Chapman in 1965 and performed balancing trapeze until early retirement in 1979. Career highlight was the Ringling Blue Unit Centennial show. In 1968 Danny, Sarah, and Mel Miller conceptualized Ringling’s Clown College. She earned an AA in Home Ec Ed and a BA in Humanistic Studies with twenty upper-level credits from performance. Sarah authored and published four editions of A Circus Girl’s Cookbook. 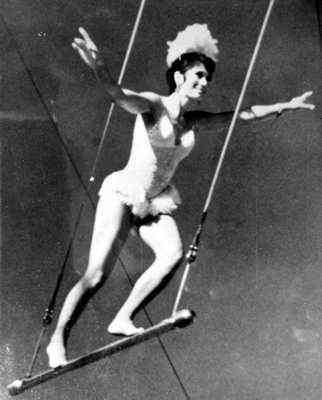 Her memoir is Balancing Act ~ Memoir of a Florida Youth. A toastmaster and personal chef, Sarah lives in northern Minnesota.